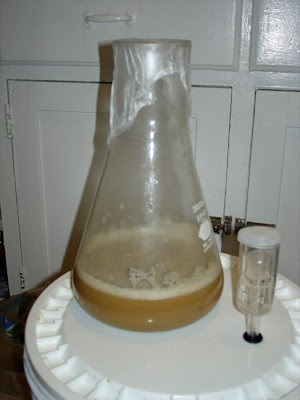 How will you grow or change as a home brewer this spring? How will you embrace your spring fever and channel it towards your brewing? This spring is bringing much change to me as it is. Uncle Sam has finally cut my orders and is sending me packing back to Rhode Island for a year of school, and probably off to a place where brewing isn't possible after that. While that will put a serious crimp on my brewing progress, the positive side is that I will be in an academic environment for 10 months, which will be far more conducive to developing my skills. 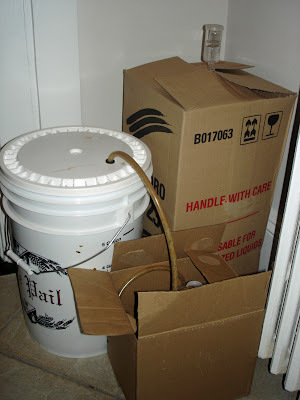 Since I am moving I don't plan on brewing too much ( have two batches I want to make) this spring and anything I make needs to be in the bottle (or drunk) by moving day. So my "growth" this spring will not come from brewing so much as learning and doing things to make the most of my brewing once I move in July. I'm going to start by reading and re-reading some serious brewing books, including Principles of Brewing Science by George Fix. Pretty involved, but I know I better understand things when I can break them down to the smallest possible level. The next thing I plan on doing is really and truly learning to "taste" beer. To tell you the truth, I still get confused by notes, esters an everything else. I can taste malt. I can taste hops. I lack the refinement to pick out the rest; obtaining that refinement is good...because it means drinking beer, among other things. I understand Randy Mosher wrote a book on tasting beer that's very good, so I'll probably add it to my reading list. The last thing I plan to do is build a kegerator. I. Hate. Bottling. I've come into a perfectly functional dorm fridge (one of the big ones that fits a couple of corny kegs) for exactly $0.00 and I plan to take advantage of it. At first I'd thought about modifying it to make a lagering fridge but that is way more tweaking and work-shoppy stuff than I'm used to. With readily available plans, this should be a good first project for someone who hasn't really done a big brewing do-it-yourself project before. I said I was going to talk about schedules, too. I lied. Scheduling isn't growing. It's scheduling. If you want to compete with, or best an opponent, you need to know what you are up against. Observation can only provide so much information. Ideally you want to obtain - purchase, steal or capture - the machine of your opponent and break it apart. Open it up, get inside, put it back together, operate it, determine its limits. Then make yours BETTER. 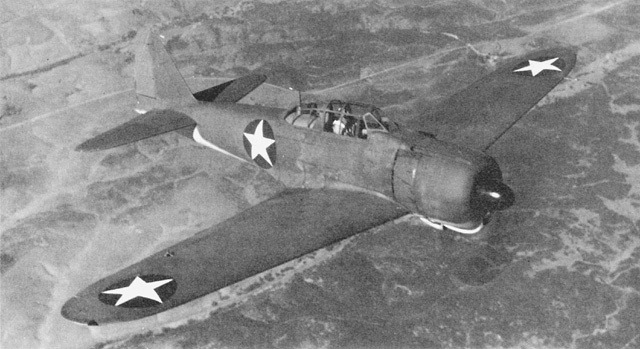 The aircraft is the Mitsubishi A6M Zero. 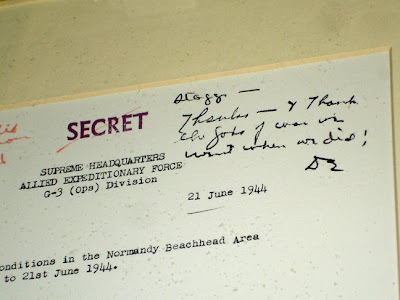 For eighteen months it dominated the skies over the Pacific in World War II, but in fact the Zeros doom was sealed within 8 months of Pearl Harbor. Captured and exploited, the Akutan Zero enabled the generation of American naval fighters that would sweep one of the most famous and dangerous - not to mention beautiful and graceful - planes in history from the skies. Such practices were nothing new - it is as old as competition itself. In August of 1812, England was shocked when a Royal Navy frigate lost a ship-to-ship duel for the first time in nearly 30 years. Within 5 months, two more of England's vaunted frigates had been taken on the high seas. 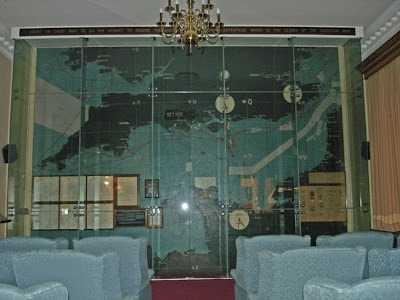 The stark reality had set in that the Royal Navy was facing a superior class of ships in the American "heavy frigates" and they adjusted their operations accordingly. The Royal Navy would not capture a heavy frigate in time to exploit it before war's end, but they would capture one nonetheless, and implement some of the innovative design elements of these ingenious ships into their own fleet. 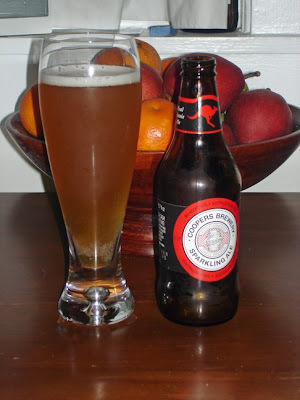 I had decided to brew an Australian-style ale for ANZAC Day. As my wife is Australian, April 25th is an important day in our house. As luck would have it, the latest issue of Brew Your Own magazine is almost completely devoted to Australian brewing styles and techniques, recipes included. 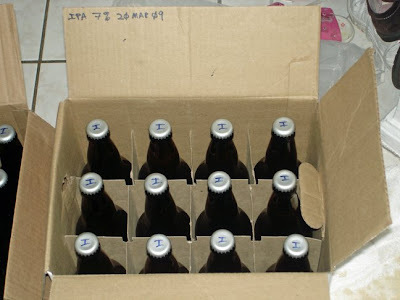 The most promising is a Cooper's Sparkling Ale clone recipe that I decided to brew. 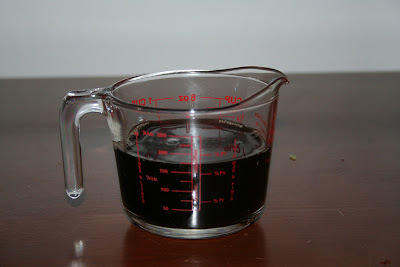 I have scoped the ingredients, everything looks like it can be put in place for brewing. There were two sticking points, however, and they are related. 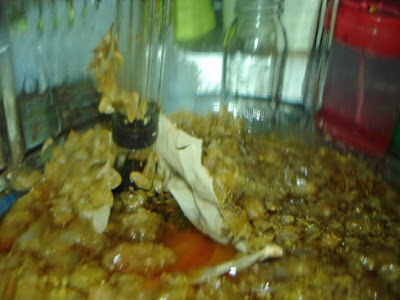 First, the recipe states the best way to brew it is to use yeast activated and re-pitched from an original bottle. Second, the best way to judge if your clone is true is to actually DRINK some of the beer you want to clone. Vindication on these points came last week in my usual "haunt" (as far as liquor stores go). Coming upstairs from their basement (and restroom), I popped out near the cooler in the back and lo! Three different Cooper's beers inside! Could they? Do they? YES!!! Sparkling ale! I finally have my capture. Needless to say, I have been doing a lot of research. The beer itself is beautiful, light bodied, and crisp. 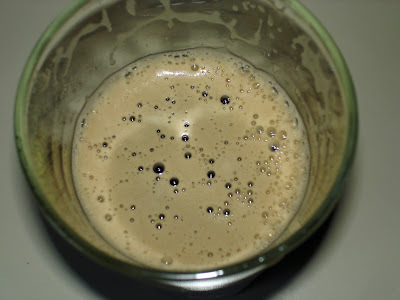 It's a highly attenuated beer, with an initial aroma of yeast and bread. A hint of malt on the tongue, followed by an assertive (but not overwhelming) bitterness from the Pride of Ringwood hops, that lingers for a second or two before a clean, dry finish. Some fruitiness (pear). Very refreshing, and it will go down great on a hot day. It is also a "fast" beer. 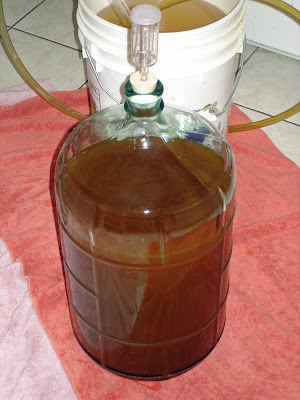 The recipe cited 16 days from brewing to drinking - bottling it for conditioning after less than a week (6 days) in primary to ensure plenty of yeast for conditioning and high carbonation. I've enjoyed it both clear and "mit hefe" and it is fabulous both ways. 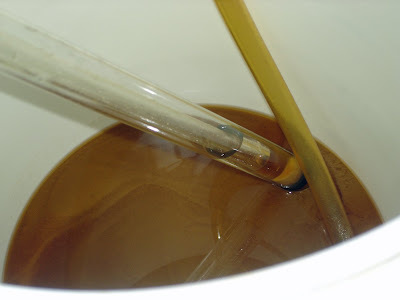 I cannot wait to brew this at the end of the month, and I plan to use a different technique than I have been using recently - an "Australian" method, as it is called, in BYO. 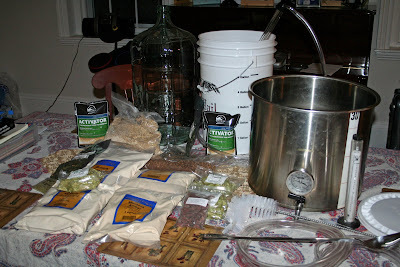 I promised myself I wouldn't post any more "Beer Photos of the Week" until I got moving on some actual brewing posts. And as I have several to talk about, I decided to go with the fruit beer post today. 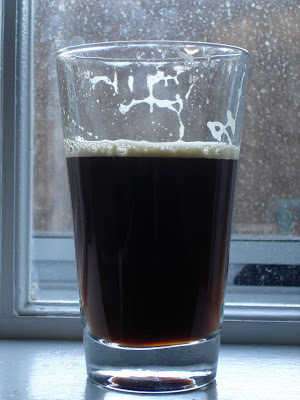 My goal was to have a basic ale, not too dark (recipe calculated 5.5 SRM, but I got a little darker), without a lot of bitterness or hop character, but what hop character I get should be from noble hops to complement the fruit. Best guess, the base is supposed to be kind of like a German Barley Ale (Alt or Kolsch). 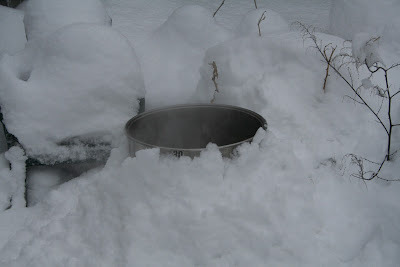 I used the wort chiller for the first time. It was beautiful. 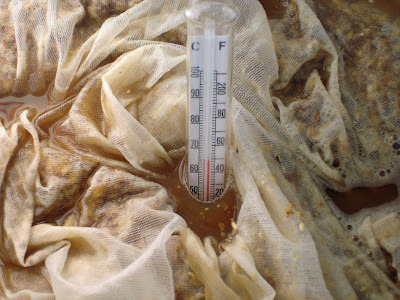 40 min of chilling and the wort was at 72°F. 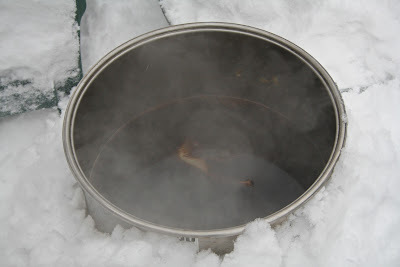 Opened up the lid, saw the beautiful cold break at the bottom of clear wort, and thought "Easy as pie!" Yeah, right. 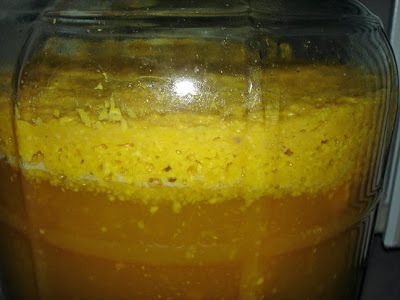 Racking to primary was a different story. 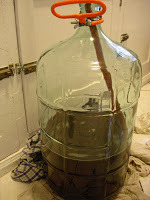 I simply could not prevent the break from racking into the bucket without losing waaay too much beer. 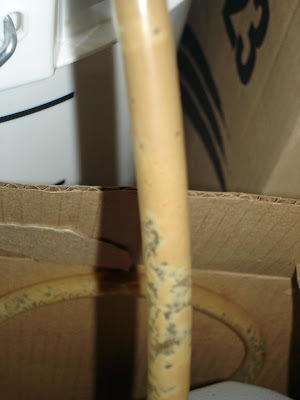 I was trying to rack through the spigot at the base of my kettle instead of siphon from the top. 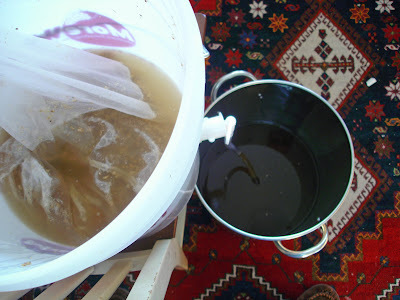 So I ended up straining it all into the bucket and sealing it up for 2-3 hours to allow the trub to settle and then rack the beer into a glass primary before the beer could re-absorb the break. 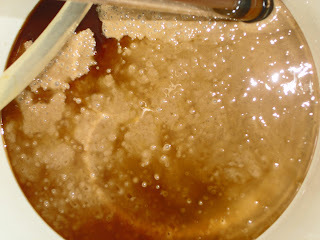 That's the harvested yeast in a flask of new wort (to wake it up) on the bucket. 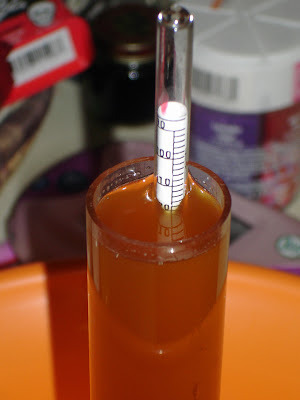 SG of 1.010 equates to about 5.6% ABV. That's the only accurate measurement I'll have to go with. 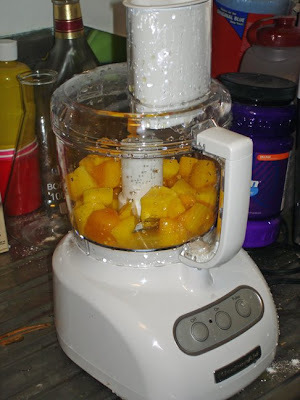 The new food processor ready to go. It's wet because I sanitized it with Iodophor before commencing. I love this. It's so "wide-open"! This is what could be called a "full bumper". What a beautiful color, and it tasted as good as it looked. Hops from the second it hits to well after it's gone down the gullet. But so well done. I truly admire this beer. 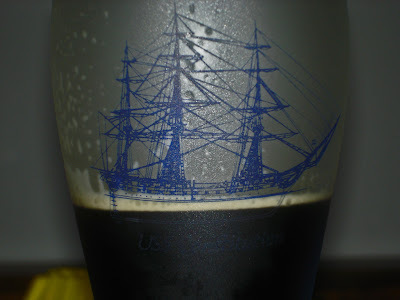 If only a Man O'War could sail the seas of Märzen Rauchbier...water through the gun ports might have actually been welcomed. It's time to catch up from the early neglect of this "new" blog, now that my life allows it. 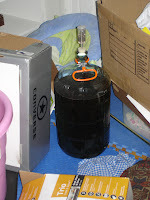 Even though I have not been able to blog the progress (until now) things are chugging along okay - the Chocolate Porter is bottled and cellared, and the IPA is in the last few days of primary fermentation. My brew days are taking longer than I would like them to, and I'm not working on the dates I want to, but such is the way of life with a family and small children. The first recipe is near completion - sort of like a ship making landfall. You can see the destination, but you are not there. 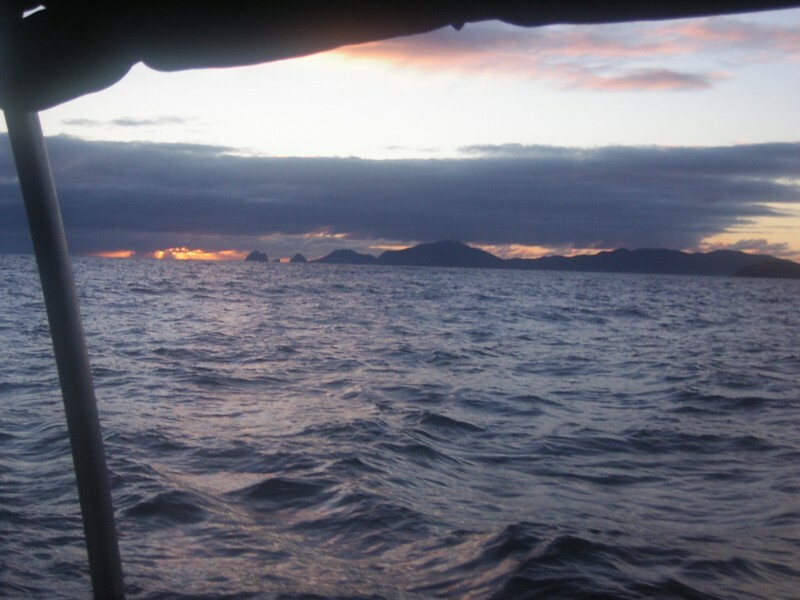 The right combination of wind and tide is still needed to reach port. Even if a coast is well-charted, there is always the risk of running up on the shoals, whether by human error or force of nature. 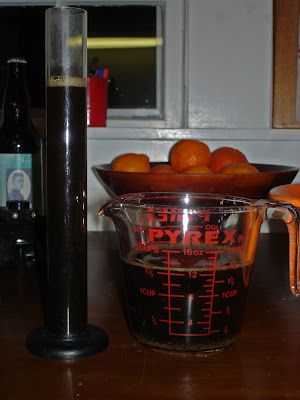 I bottled the porter last night, but the process actually started this past Saturday, when I added the final dose of chocolate to the beer. Resisting the urge to roast the cocoa beans, I ground them fresh. It was originally recommended that I soak them in vodka for 15 min or so to sterilize them. That was an issue, as I was out of vodka. I used a substitute. 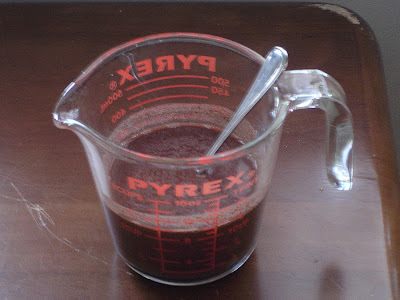 In all, I added about 6 oz of bourbon to the beans. Why? It seemed right. 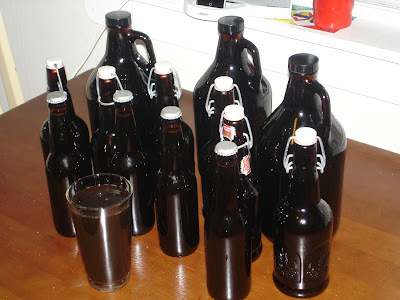 About 60 hours later, I bottled the beer. As I'm doing this (or at least part of it) as a gift for my father, I got some growlers that I can put some customized labels on. They'll feature a goofy picture of him or something like that. The rest of the bottles I needed I made up from what I had in storage in my garage - some 16 oz swing-top bottles and a case of 12 oz bottles. I had dug the bottles out from the garage the night before, and there's an interesting story in there as well, that I'll tell some other day. Before I primed, I took final gravity. It measured 1.015. That's kind of high - I just barely got 70% attenuation. 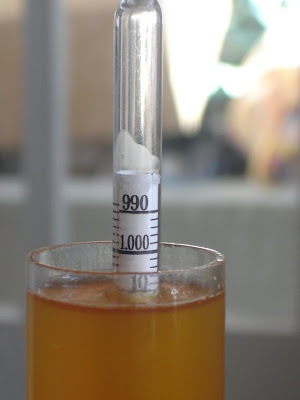 Ideally I would want to hit 1.013/1.012, to get me at about 5% ABV. As it stands, it is 4.8% ABV. A bit on the low side (technically below the threshhold) for a robust porter, though a 1.015 FG is "within spec" for one. Maybe something to be tweaked the next time I brew it, but I'll wait and taste the finished product first. To keep carbonation on the low side, I then primed the 5 gallons of "new beer" with 3.6 oz of light DME, using the priming guidelines from Randy Mosher's The Brewer's Companion. I. Hate. Bottling. 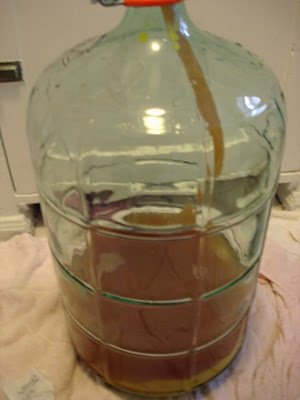 It takes a long time, it always seems awkward to me moving between filling, topping off, capping, back to filling, etc. 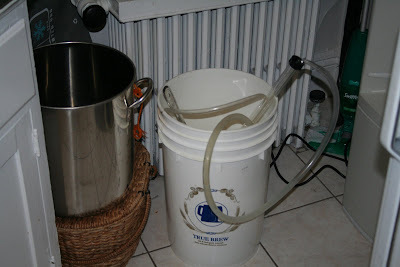 Still, if I wish to enjoy the beer I need to do it right, so I was as meticulous and clean as I could be. One of my next steps is to start kegging. When all was said and done, I had three 1/2 gallon growlers, 24 12-oz bottles, and six swing-tops. First test is in a couple of weeks; then I'll know if I made it safely into port or took a wrong turn and ended up on the rocks. It still tastes okay, but I've never had an easy time predicting final taste by tasting what I have at bottling.